Thirty companies based in the Richmond region have made this year’s Inc. 5000 list of the nation’s fastest-growing private businesses. They include companies in technology, real estate investment, business consulting, government services, logistics, insurance, health, pet products and pest control, among others. Inc. magazine published its 2017 rankings of the 5,000 fastest-growing businesses by revenue on its website Wednesday. The rankings are based on the companies’ three-year revenue growth rates. The fastest-growing company in the Richmond region on the Inc. 5000 this year is Capital Square 1031, a national real estate investment and management company based in Henrico County. The company made the rankings for the first time at No. 485, with 2016 revenue of $42.7 million and a three-year growth rate of 925 percent. Founded in 2012, Capital Square has 28 employees. Making the Inc. 5000 “caps off” a year of growth for the company in which it added employees and doubled its office space to about 12,000 square feet in the Innsbrook Corporate Center, said Louis J. Rogers, the company’s founder and chief executive officer. The firm sponsors real estate exchange programs that qualify for tax deferral under section 1031 of the Internal Revenue Code. Capital Square was one of five local companies that broke the top 1,000 on the list. The others were: Shockoe, a cross-platform mobile development firm, which ranked No. 499; The Hilb Group, a middle market insurance agency, at No. 619; Productive AV, a government services company, at No. 825; and American Pillowcase, an online retailer and wholesaler of luxury sheets and towels, at No 978. The largest Richmond-area company on the list, measured by revenue, is Estes Forwarding Worldwide, a logistics and transportation company that ranked No. 4,557, with 2016 revenue of $142.5 million and three-year growth of 53 percent. Two companies have made the Inc. 5000 list at least 10 times, while five other businesses have been on the list five or more years. CapTech, a Henrico-based technology management firm, has made the Inc. 5000 11 times. It placed No. 4,328 this year, with a three-year growth rate of 60 percent and 2016 revenue of $125.8 million. Advertising and marketing firm Taradel, ranked No. 2281 with $17.6 million in revenue, has been on the list for 10 years. The local companies with five or more repeat appearances were Mosquito Squad, a tick and mosquito control franchisor; technology consulting firm Impact Makers; Dominion Payroll, a provider of human resources management services; pet treats seller TDBBS; and medical imaging company Dynamic Mobile Imaging. Henrico-based NetSearch Digital Marketing, a digital marketing firm specializing in services such as search engine optimization, made the list for the fourth year in a row. It had a three-year growth rate of 43 percent — the smallest rate among the 30 local companies on the list. 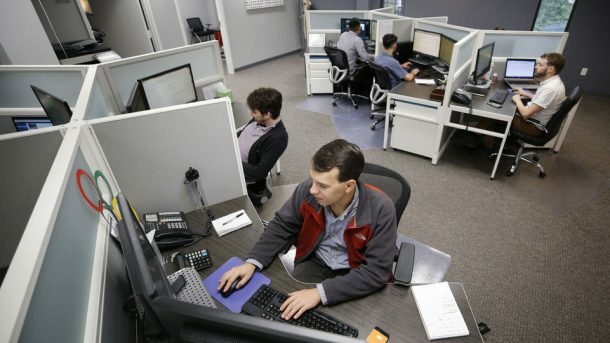 The company was founded in 2006 with three employees and has now grown to 27 employees in Richmond, with a one-person office in Austin, Texas, that opened in 2016. Meyer said being on the Inc. 5000 for four years brings a higher degree of credibility for small but fast-growing businesses such as NetSearch Digital, which ranked No. 4,934 on this year’s list, with 2016 revenue of $3 million. The top-ranked Virginia company is DCG International, a Vienna-based government services firm founded in 2010. It posted revenue in 2016 of $32.9 million and a three-year growth rate of 10,999 percent. The overall fastest-growing company on the Inc. 5000 is San Francisco-based Skillz, a mobile gaming company founded in 2012, which had revenue of $54.2 million in 2016 and a three-year growth rate of 50,059 percent.